For the last 125 years, motorcycles have been made up of two wheels and a motor, and they have all been arranged as a wheel, a motor and another wheel – in that order – all of them. 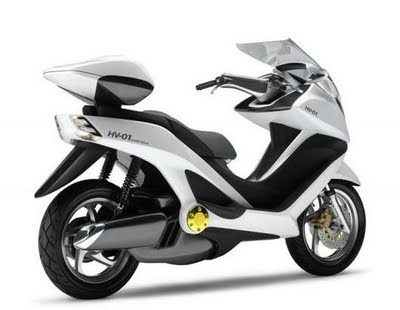 But the freedom afforded to designers by the in-wheel electric motors which technology has recently spawned will make for some interesting changes over the coming years and Yamaha is the first of the motorcycle manufacturers to seriously look at alternatives available in the next generation of motorcycles. The Deinonychus prototype takes full advantage of the greater chassis design freedom afforded by an in-wheel motor, and offers a completely new type of two-wheel-drive (2WD) EV (electric vehicle) with "Stretch & Shrink" functions in the vertical and horizontal directions. 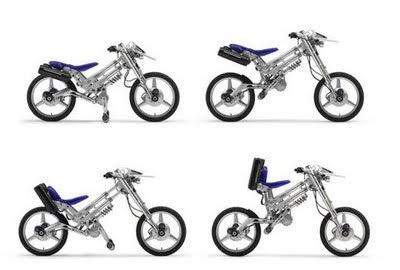 Yamaha’s exhibition at the Tokyo Motor Show will feature a number of futuristic commuter vehicles other than the Deinonychus including a fuel cell prototype, a hybrid prototype and a production electric scooter. For the record, a Deinonychus is a lightly built, fast-moving, agile, bipedal, killer dinosaur. Yamaha’s booth at the 39th Tokyo Motor Show which opened October 22 took the theme of "The Art of Engineering" and displayed 21 models including the aforementioned special exhibition and planned production models.